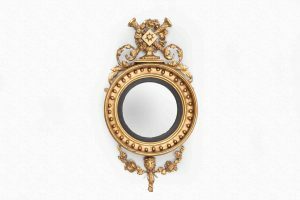 The history of glass and mirrors reads somewhat like a modern novel, incorporating spying, great wealth, vanity, murder and parliamentary litigation. 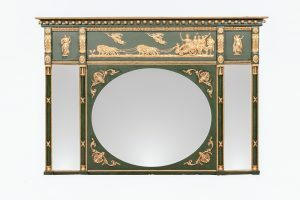 For centuries the mirror has played a crucial role in decorative schemes and from its humble beginning as a reflection in a pool of water the mirror has become an elemental component of design, its malleability allowing it to be either a part of a celebrated interior such as the Galerie de Glaces at Versailles or in a more intimate domestic setting. Looking glasses were basic in design until the 16th Century when polished metal was replaced with the familiar mirror of today. 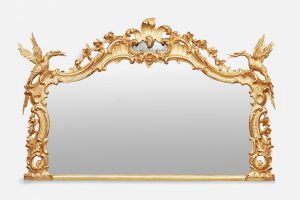 The high cost of mirror glass ensured their status as an expensive commodity for society’s elite. Ownership was limited, their rarity and value meant their safekeeping was of great importance. 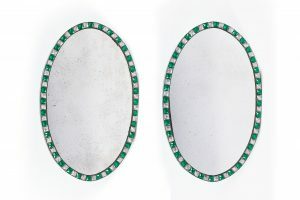 The frames of the mirrored glass were equally important and are examples of some of the finest workmanship of the era. 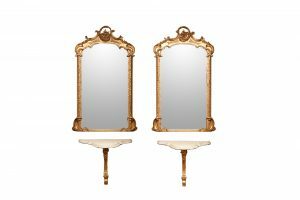 The frames of the mirrors incorporate elaborate carvings with motifs such as HoHo Birds, C-scrolls and foliage, highly skilled techniques of gilding and verre eglomise were also employed. 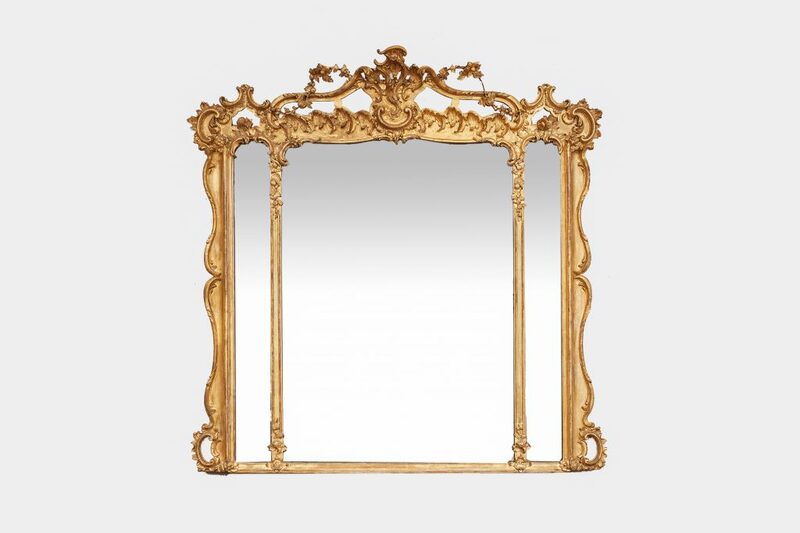 Notable designers such as Chippendale, Adam and Goodison designed the frames which adorned the walls of great houses such as Hampton Court Palace, Mellerstain House and Chatsworth House. 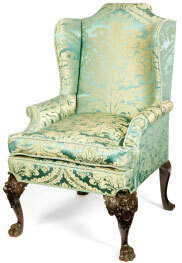 We have included some archetypical pieces of our collection from this classical era for you to peruse at your leisure. Please browse through our website to see some of our fine pieces in both our Dublin and New York Galleries.